Larry DeWitt on a 27-mile run in March of this year with Max for company. Do you think running a marathon sounds daunting? How about running the equivalent of almost 4 consecutive marathons? Endurance athlete Larry DeWitt plans to run the Burning River 100, a 100-mile trail race through northeast Ohio, on July 25-26 in honor of Ben O’Daniel and to raise funds for Akron Children’s Hospital’s Showers Family Center for Childhood Cancer and Blood Disorders. Ben, 16, has been in Akron Children’s care since being diagnosed with leukemia 3 years ago. DeWitt, 57, of Colorado Springs, Colo., grew up in Akron. His love of physical challenges began at North High School, where he ran track and cross country, and only grew stronger when he enlisted in the U.S. Army. Today, he’s an IT engineer who loves coaching and especially loves competing in ultramarathons and mountain bike races. 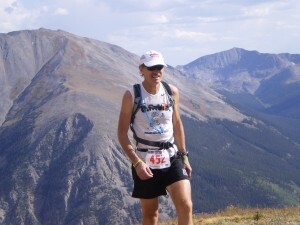 In 2009, DeWitt won and set a course record in the famous Leadville Racing Series, where athletes compete in 5 events over 6 weeks. 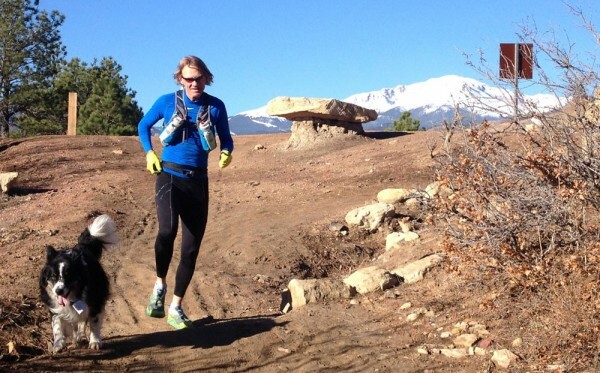 The events include a trail marathon that tops at 13,186 ft; a 50-mile mountain bike race that climbs over 7,000 ft on Rocky Mountain mining trails; the Leadville 100 mountain bike race; a 10K run the day after cycling 100 miles; and, last but not least, the Leadville Trail 100-mile race. DeWitt was touched by Ben’s story after meeting Ben’s mother, Beth O’Daniel, through a mutual friend after DeWitt ran the Akron Marathon a few years ago. Ben with Dr. Jeff Hord. Ben, a sophomore at Kent Roosevelt High School, plans to run a few miles with DeWitt so they can cross the finish line together. Ben’s old brother, Alex, also plans to pace DeWitt for some of the race. Ben is heading to his own finish line this fall – completing his treatment in November. But cancer is a detour no family expects. 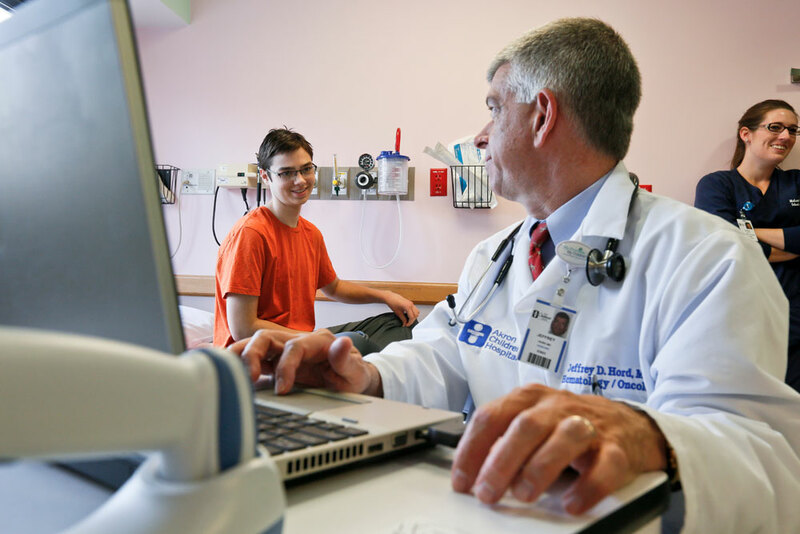 Being a 13-year-old boy with B-cell acute lymphocytic leukemia (ALL) immediately put Ben in a higher risk category and a longer course of chemotherapy because of his age. “The first year was particularly tough,” said Chris O’Daniel, Ben’s father. Ben developed diabetes as a side effect to the treatment. 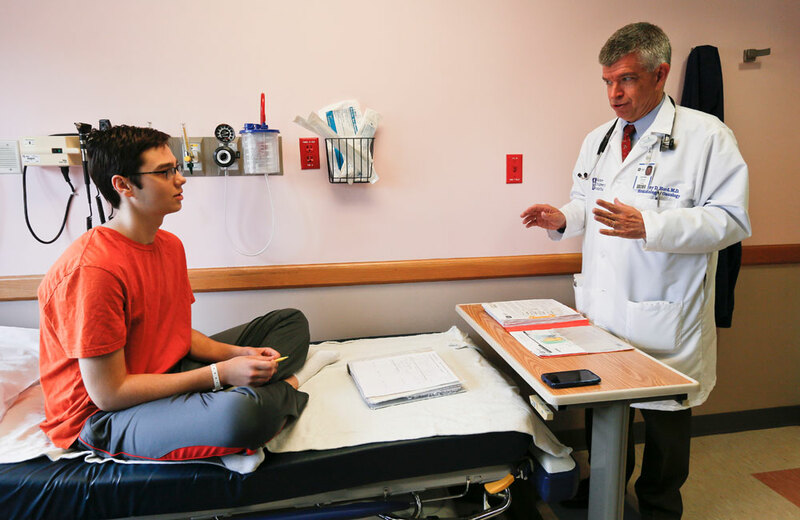 While his white blood cells were closely watched, he spent a good deal of time on the oncology inpatient unit at Akron Children’s and felt isolated while being home-schooled and separated from friends. Over the past year, Ben has been feeling more like his old self. Now back in school, he’s making the honor roll and training for the Burning River through regular visits to a CrossFit center. DeWitt will start the race at 4 a.m. in Willoughby Hills and finish in downtown Cuyahoga Falls. Most of the race, which DeWitt expects to complete in under 20 hours, will be in the hills and valleys of the Cuyahoga Valley National Park, as well as the Cuyahoga and Summit County metro parks. He’s prepared to run in the dark (with a headlamp), and any weather conditions, while staying nourished and hydrated in motion. His biggest concern is the humidity typical of July in Ohio, but not Colorado. Another big difference will be the low altitudes. You can donate to the Burning River for Ben event and follow Larry DeWitt at his blog, “Adventures in Endurance” and follow the Burning River for Ben Facebook page.